Mailed 4/16/19 to Subscribers. Allow 4-6 weeks for USPS delivery. 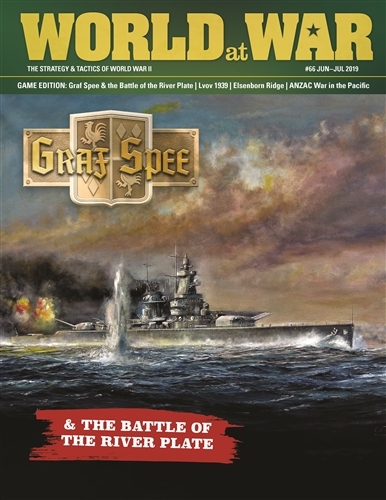 Cruise of the Graf Spee is an operational-tactical solitaire game that puts you in command of the KMS Graf Spee, the German battlecruiser that made a historic epic voyage through the South Atlantic during the opening days of World War II. 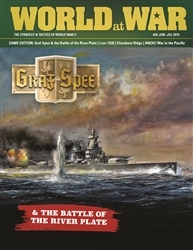 The player must accomplish a specific “objective” to win the game that will be generated at random at the start of each scenario or the campaign game. You must manage the various out fittings and functions of the KMS Graf Spee. 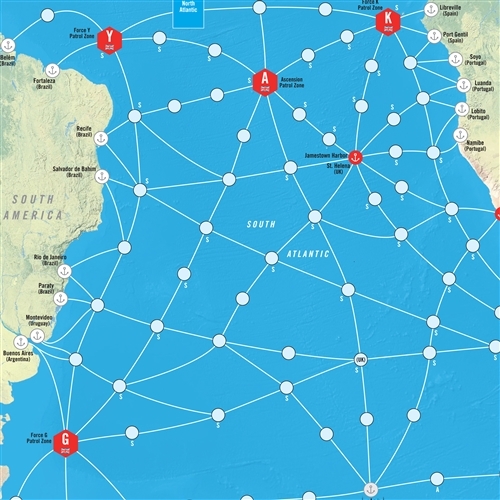 As you fight your way throughout the South Atlantic and potentially the Indian Ocean, you will encounter various Allied warships, merchantmen, and unexpected opportunities and objectives. German ships in the game are shown in detail with the Allied ships shown in a more abstract manner. Each turn represents one full day. Nautical spaces are about 100 nautical miles apart with the game system using point to point movement. 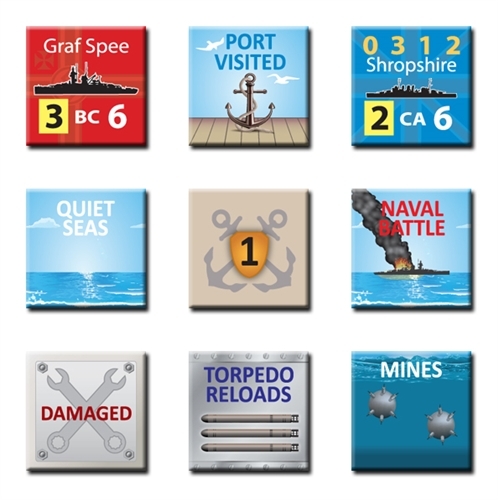 Most warship counters represent one ship each.